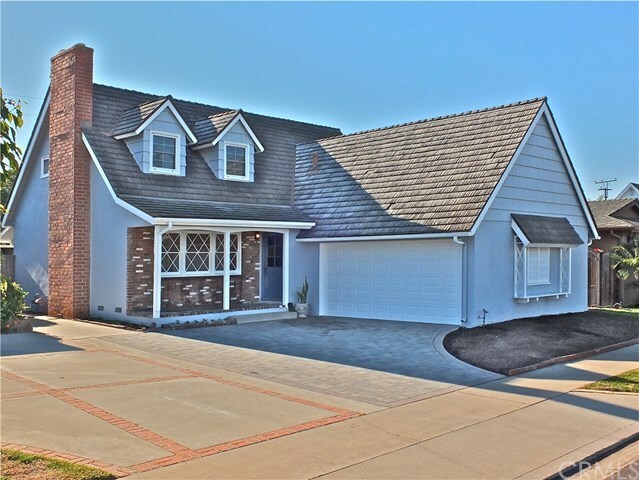 Welcome to Seal Beach and this delightful Cape-Cod style home. Feel the ocean breeze and enjoy the tree top views & sunsets! Fresh paint inside & out, smooth ceilings, restored hardwood floors and new kitchen counter tops give this 1958 charmer a whole new look! Property features 2 bedrooms downstairs and 2 bedrooms up, plus a bonus room which would make a cozy nursery, craft room or office. The backyard is ready for you to customize to your liking â plenty of room for a pool, outdoor kitchen, patio or a garden oasis. This home is located in the award winning Los Alamitos School District and is just steps away from McGaugh Elementary. Enjoy the easy living in Seal Beach. Emerald Cove is only a few blocks to the beach, a neighborhood retail center & grocery and Old Town with its wonderful offering of shops, restaurants, community services and library.